We love children at Holy Trinity! Sunday school classes are offered for children beginning at age 3. Each class is taught by two adults. Their lessons correspond to the worship texts for the day so that children learnings from Sunday school are reinforced during worship. Because the Christian faith is more caught than taught, it’s important that children are a part of our worshiping community. There is no stronger witness to the faith for children than singing, and listening, exchanging the peace, and communing with faithful adults who care about them. We strive to make the worship experience of our children as positive as possible. A children’s message is included in our Sunday morning liturgy. We also have special bulletins designed especially for children and each child in the congregation has an activity bag which is kept at the church and taken into worship with them. Extras are on hand for any children who may be with us as guests. 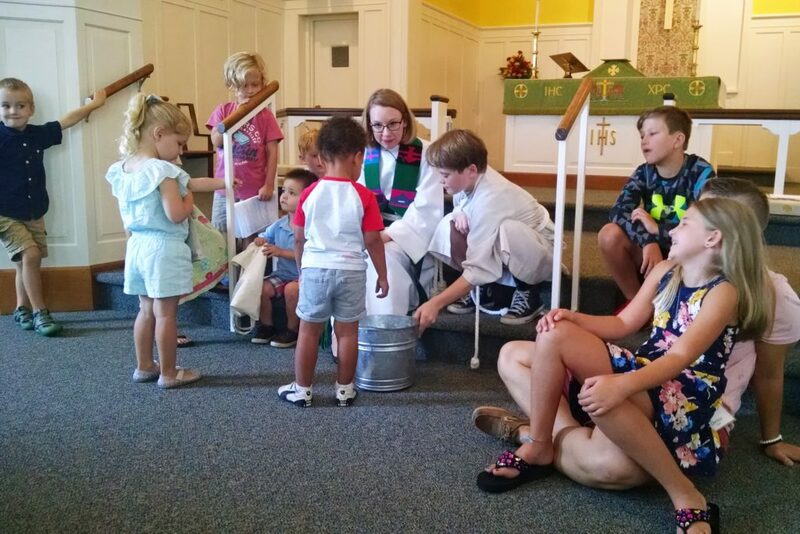 At Holy Trinity, all are welcome at the communion table, including our children. From the time they are baptized, they are encouraged to be communing members of our congregation. Of course, the age at which children begin communing is decided by the parent(s) and different families have different practices, which are all honored. If you are visiting us with a child, the pastor will ask if you would like your child to receive communion. If you would prefer not, the pastor will offer a blessing instead of the bread and wine. Our nursery for children up to age five is staffed with a professional childcare worker from 10:45 a.m. to 12:45 p.m. Parents may also choose to use the nursery after the children’s message during worship and retrieve them in time for Holy Communion. 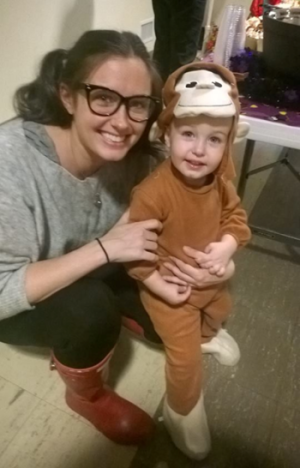 Our Children & Family Ministry Team sponsors a number of events during the year, including: Halloween Party, Christmas dramas, Lenten memory eggs, and an Easter Egg Hunt. Safety for our children is our primary concern. All of our nursery volunteers and Sunday school teachers have received thorough background checks. The congregation has also adopted a policy making us a nut safe zone for people with nut allergies.